In partnership with Peroni, we look at some of the best diners, bars, cafes and bakeries pushing traditional Italian food in exciting new directions. 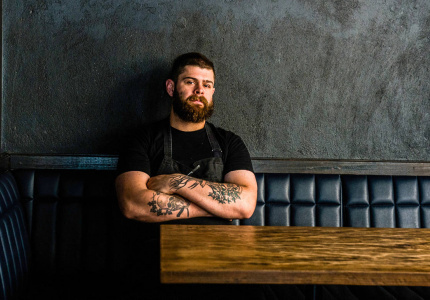 Fancy Nance might be in the spotlight right now, but it’s sweet impresario Adrian Zumbo’s other new venue, Little Frankie’s, that’s the real mover and shaker. 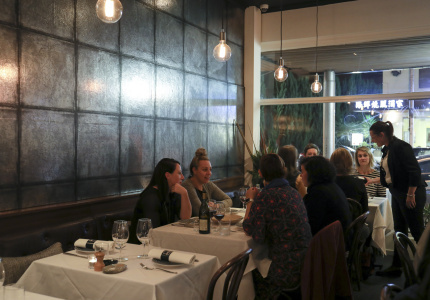 The result is a bunch of refined Italian classics presented in modern, clean-cut digs, Little Frankie’s even going just a touch easier on Zumbo’s typically flamboyant taste in decor (giant flamingo mural aside). The South Yarra 30-seater is a good spot for an espresso while enjoying one of Zumbo’s delicious panettone buns. Otherwise, there’s always the takeaway counter. The New Wave of Italian dining has a certain ‘screw you’ about it — an embrace of old fashioned carb-loaded goodness that will destroy your personal trainer’s paleo prescriptions. 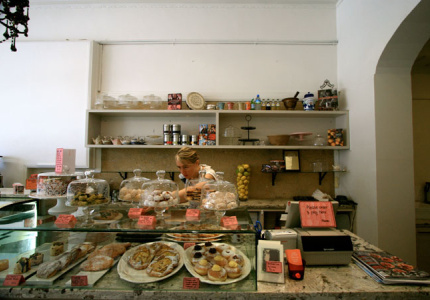 Nowhere is that more present than Tipo 00 in the CBD, a vivid illustration of what seems a current maxim that the newer the place, the more no-frills its outlook (eg: Tipo 00 is named after a type of finely ground flour). Owner and chef Andreas Papadakis has taken techniques and ingredients honed during his time in fine diners and applied them to simple, clean dishes. Think squid-ink tagliolini or gnocchi with porcini mushrooms and braised duck. The refined but relaxed digs do the rest. 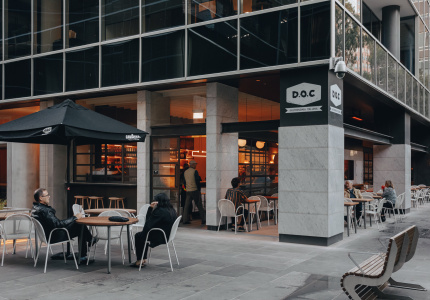 Deep in the city on Little Bourke Street, Tipo 00 has been a hit with the suits and lunchtime interlopers, who converge on it each day and night in an almighty ruck. In other words, be sure you book. Barbering is in the blood for Fabian Sfameni. His grandfather plied the trade in Sicily before the family moved to Gardenvale in Melbourne’s southeast, where Sfameni’s father opened his own barber shop. Young Fabian would help out on holidays, listening to Sfameni Snr’s stories while he brushed down the customers, collecting their coats for 20 cents a pop. Now everyone is interested in this renaissance of style. It’s fantastic. That Italian style of barbering, with an emphasis on warm and considered customer service, is the beating heart of Uncle Rocco’s Barber Shop. 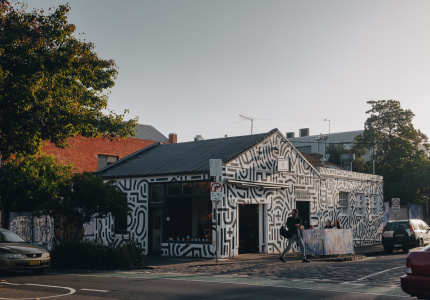 But Rocco’s has a rather obvious update: Sfameni’s shop is built into the side of Globe Skateboard’s international headquarters in industrial Port Melbourne. Quite literally: visit for a cut and you can hear the grind and clatter on the wooden skate bowl, which doubles as Uncle Rocco’s back wall. 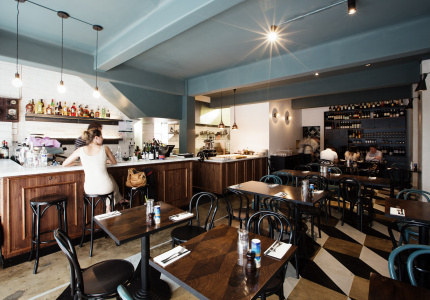 Mister Bianco’s plays like it’s addressing an Australian blind spot when it comes to pasta. 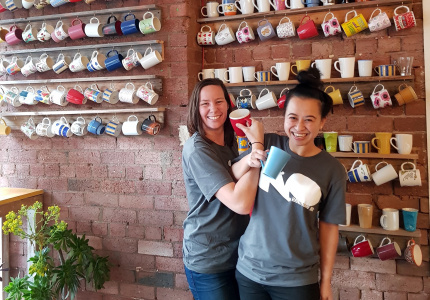 Named after a brand of Italian washing powder that owners Joseph Vargetto and Silvio Sgarioto remember from their childhoods, the snazzy Kew eatery is setting the record straight. 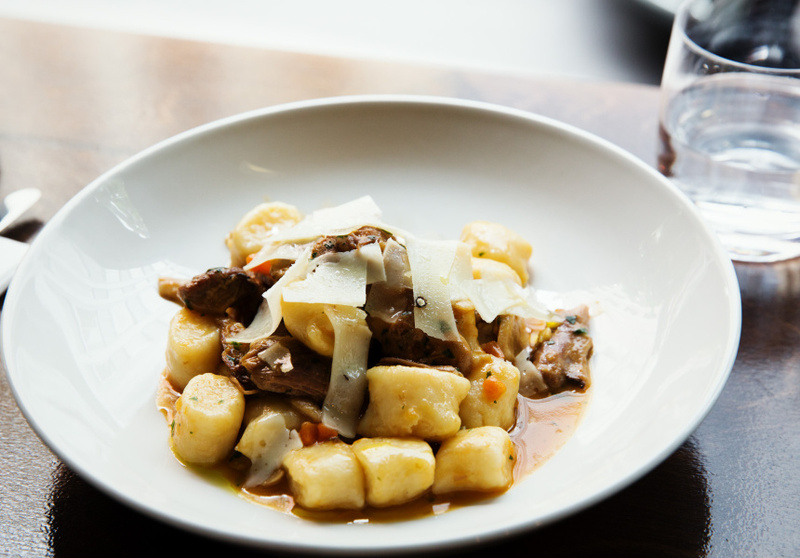 Cavatelli is chef Vargetto’s current favourite plaything — a small, shell-like semolina gnocchi that he likes to match to venison ragout. The reams of pasta and flare with which they’re delivered have been a massive hit with the locals (there have been protests over menu changes) as well as a gentle nudge for the more casual Melbourne diners who for too long have leaned upon Lygon Street’s lazy charms (the restaurant even includes a glossary for those of us too hopeless). Vargetto’s eye for decor has done the rest. Leather banquettes, wooden floors, tiled counters and soft lighting. A hit with those who live in the area, and an attractive weekend mission for outsiders. 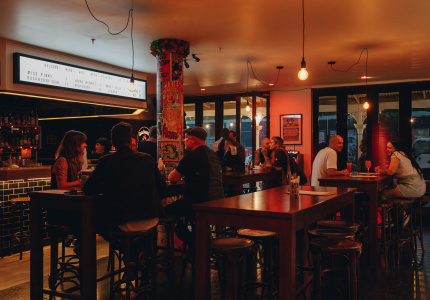 Johnny Di Francesco is making sure pizza’s Australian renaissance is legit. Di Francesco champions the stringent cooking standards promoted by Naples' Associazione Verace Pizza Napoletana. 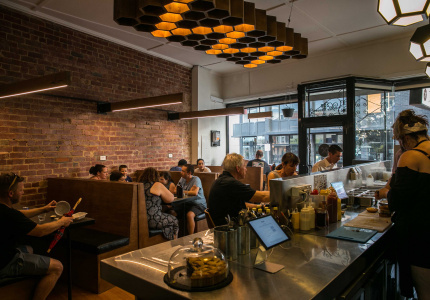 His 400 Gradi eatery — at the northern end of Lygon Street, well away from Little Italy — is one of only a handful of Australian pizza restaurants to abide by the rigorous pro forma. 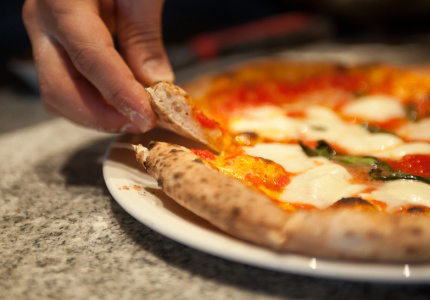 This accounts for Di Francesco taking out the award for the best Pizza Margherita at the 2014 World Pizza Championship in Italy. Well played, Johnny. 400 Gradi doesn’t look like much initially, but across the threshold the atmosphere is intoxicating: dark furnishings, soft lighting, staff slicing through a room full of noise. You can’t help but notice the ancient-looking salumi slicer depositing prosciutto straight onto bases fresh from the oven, cooked for just 90 seconds at a whopping 400 degrees celsius. 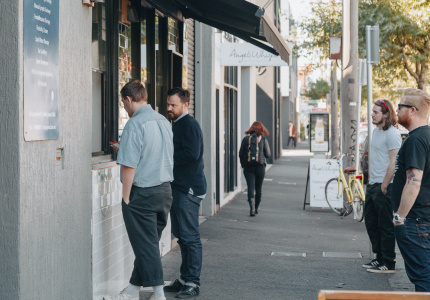 It’s serious business, and has helped redefine Melbourne’s expectations of its pizza. There’s now a second 400 Gradi at the swanky Crown complex and Di Francesco recently opened a new restaurant, 90 Secondi (geddit?) at Etihad Stadium. In case you, y’know, like pizza and football. Sbriga is an old school Italian espresso shop updated for a new millennium. Witness the elegantly curved timber wall, artichoke lamps and understated features. 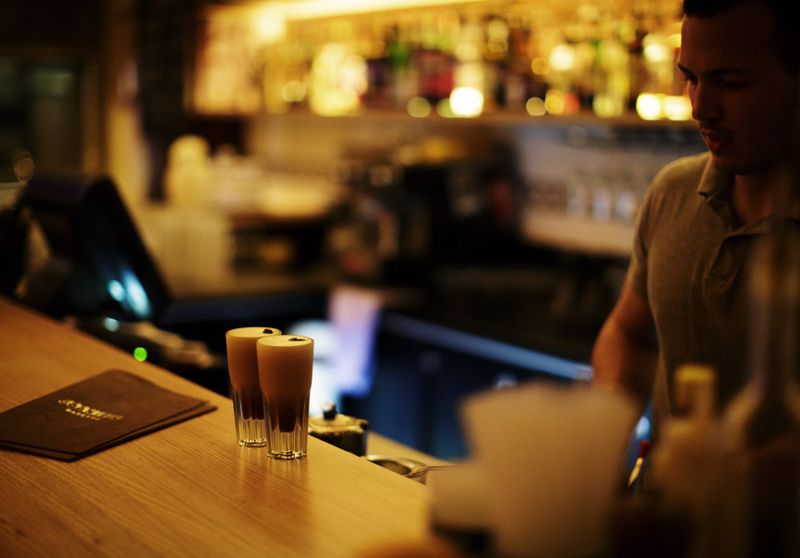 Witness too the service and exceptional selection of food, which includes bread from Port Melbourne’s Noisette bakery, Dolcetti biscotti and Sbriga’s own delicious Roman-style pizza. The main event, the coffee, is Italian but not too Italian – Sbriga’s espresso is super smooth, owner Mario Simeone leveraging a terrific collection of Allpress blends and single origins. 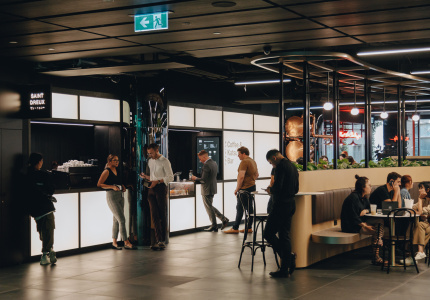 Situated at the acceptable end of King St near Flagstaff station, it all makes for the perfect pre-work or post lunch pick-me-up. There’s fewer flavours on offer than most, but the quantity has most definitely been replaced by quality. 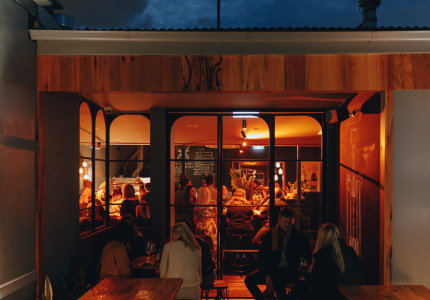 It may share a name — and an intriguing, narrow void — with Cafe Di Stasio, one of St Kilda’s most reliably great Italian restaurants, but everything else about Bar Di Stasio speaks to the future rather than the past. 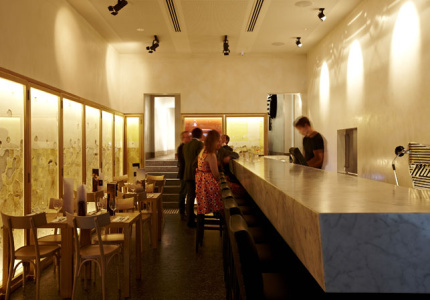 Its brightly scaffolded entranceway, terrazzo floor and vertiginous marble bar could lend Bar Di Stastio a stark feel, but instead, the dash of theatre lending the whole affair an inviting eye-winking on a busy night. Second, the food. Caprese has been switched up, with baked rounds of goats’ cheese replacing the usual mozzarella, and seared slices of tuna draped across creamy white beans, with leaves of parsley left whole amongst the folds. Drinks nod to the classic, with Peroni and cocktails including Brandy Alexanders and Tom Collins, followed by an uncomplicated selection of wines. 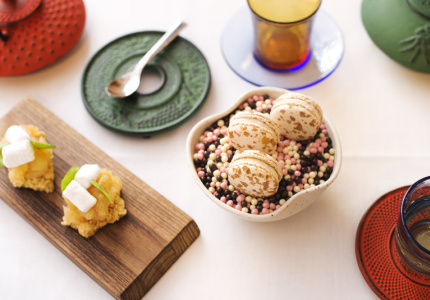 The bar snacks are extensive and inventive, keeping you planted for an extra couple of rounds. To top it all off, they’ll sell you an espresso for $1.50. 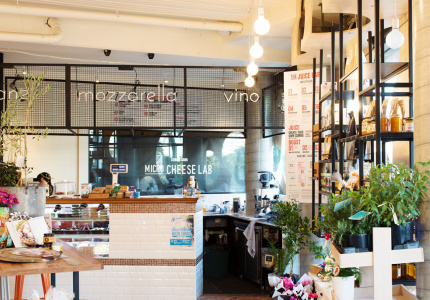 One of the highlights in the long revival of Lygon Street, Lisa Valmorbida’s gelataria, Pidapipo (named after an Italian version of Simon Says) matches local ingredients — milk from Warnambool, cheese from St Kilda cheesemongers La Formaggeria and honey from a rooftop beehive — to a distinctly Italian style of presentation. 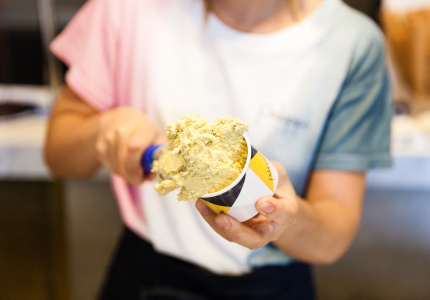 The gelato is made fresh daily and kept in pozetti, special rounded metal pots that preserve the creamy goodness without the need for excess sugar or other stabilisers. It means there’s fewer flavours on offer than most, but the quantity has most definitely been replaced by quality, a slick product exhibiting a fuller taste and super clean finish. The digs, all steel and brass, marble and terrazzo, slap bang between King & Godfree (which Valmorbida’s family owns) and Tiamo — ain’t half bad either. Melbourne’s best gelato? Most likely. Joanie’s trick is to take everything that was old and make it new again. 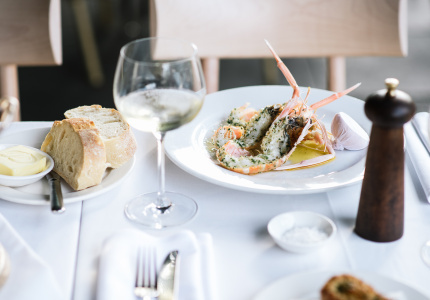 Perhaps the most invigorating aspect of the new wave of Italian winers and diners is their appearance further and further from the traditional epicentre of Lygon Street. Touted by its owners as “that joint you stumbled upon winding your way through the back streets of your favourite Italian city,” Joanie’s Barretto symbolises the more immersive style of foodie experience that now defines Melbourne, providing a suburban alternative to the old-school Italian social clubs dotted around Thornbury. 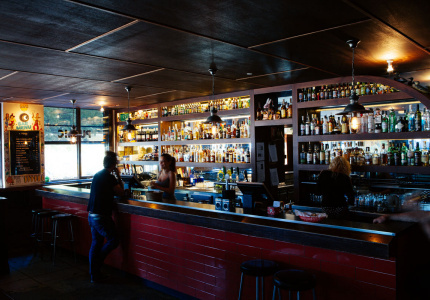 Joanie’s trick is to take everything that was old and make it new again, inviting punters to sip traditional aperitifs such as Campari, Aperol and Negronis while sampling various salumi and cheese boards. And that’s before dinner: afterwards, there’s an all Italian cast of vino, birra and grappa to see you late into the night. This article is presented by Peroni.